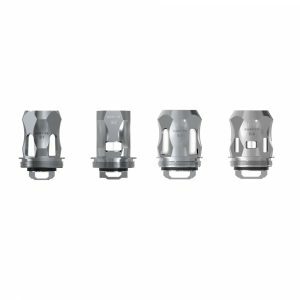 Smok TFV12 coils for the TFV12 Prince tank, Max Mesh, Dual Mesh, Q4, and T10. Great flavour and vapour Production. 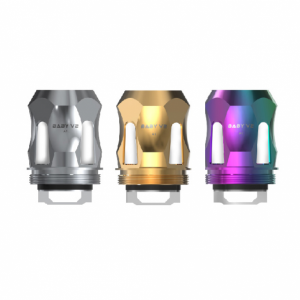 Replacement coils for SMOK TFV8 Baby V2 Tank, the Baby V2 coils include A1, A2, A3 core. The A1 coil has a large hole inside for enlarging the area to cover the cotton. A2 coil features dual holes inside, both of them covered with cobra mesh which brings more airflow and offers you massive vapor. Smok introduces new replacement coils for TFV8 Baby V2 tank. Baby V2 S1 and S2 coils are also designed for Stick series Mag Grip. 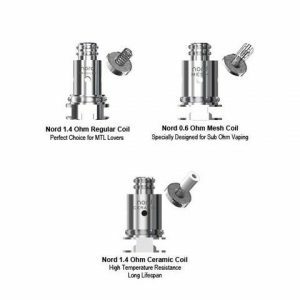 The SMOK Nord Replacement Coils implement a revolutionary design, offering vapers the option to choose the coil that suits the vaping experience they are looking for. For vapers seeking clouds of tasty vapor, the Mesh SMOK Nord Coil is your best option. For flavour chasers, vaping e juices with higher VG ratios, the Ceramic SMOK Nord Coil is your best option. The Traditional SMOK Coils are best suitable for vapers who use nicotine salts, seeking that perfect throat hit from their e cigarette.